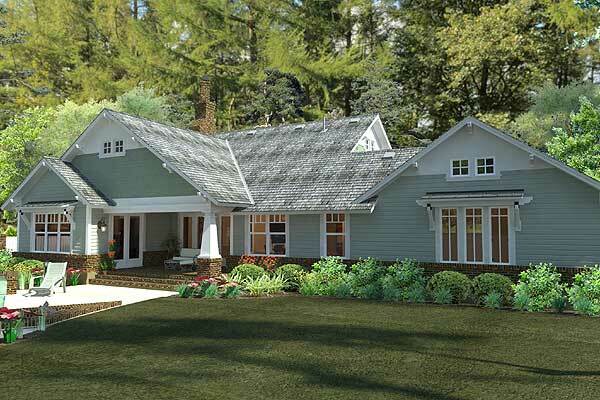 This house plan can be great for a family rest house. The 2 bathroom and 2 car garage setup means that the family can also welcome guests here, especially when the holidays are fast approaching. 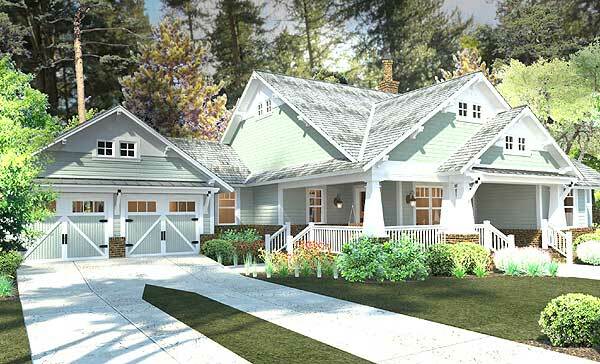 In addition to that, the prominent front porch is divided into two separate areas which can provide additional living space for the family. Here, both the children and the adults can organize outdoor activities such as grilling, football, or even camping for that added touch of nature outside the house. 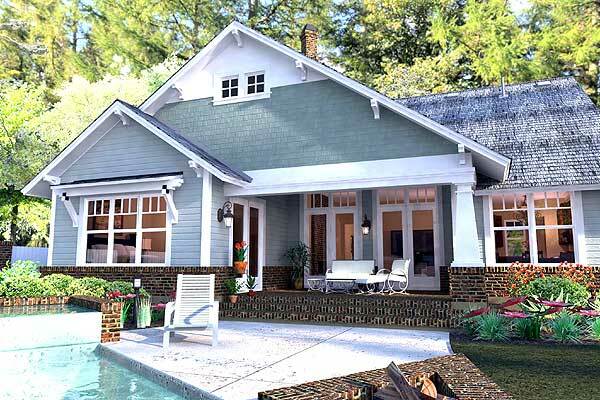 On the other hand, the family can opt for a swimming pool instead to be installed on the porch, making this the perfect rest house for that summer getaway. 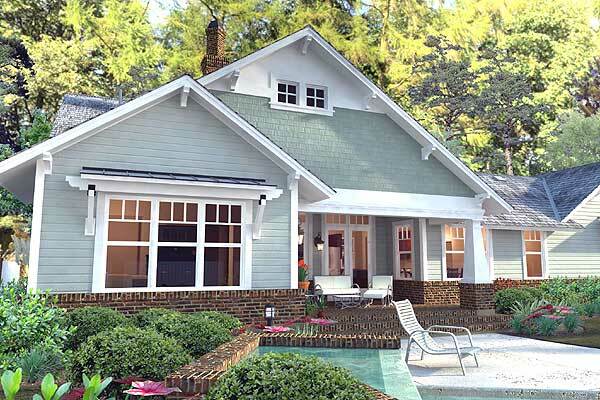 For evening activities, the spacious front porch can be a staging area for family bonfires which they can couple with some stargazing when the skies are clear at night. Those families who are not fond of tiresome outdoor activities, however, can install a porch swing instead so they can relax during the quiet hours of the afternoon. 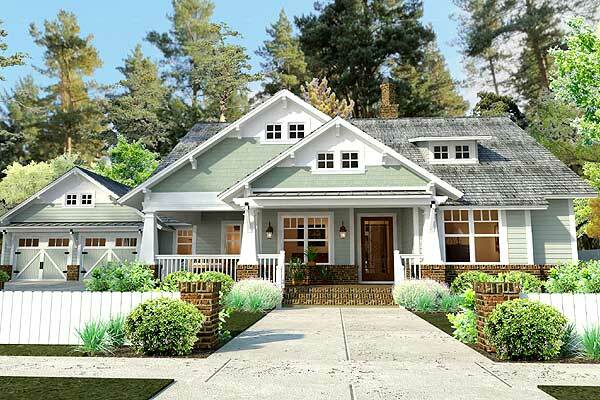 Should the family wish for material customization regarding how the house should be built, they can check with the contractor to build this house on steel/metal frames or to use metal sidings, as long as their suggestions do not compromise the integrity of the structure. 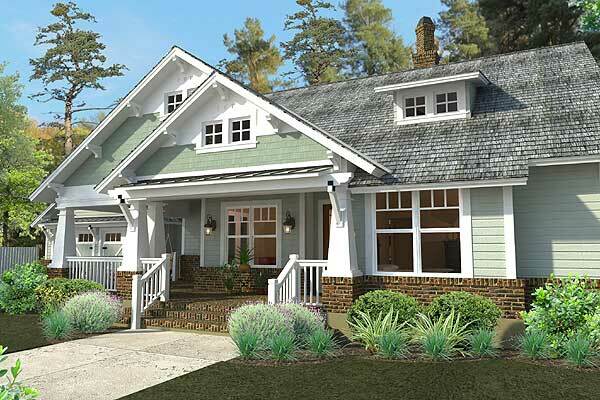 Overall, this is a great house idea for those who are planning to set their dream house soon. Stats: 1,879 sq. ft., 3 bedrooms, 2 baths, 2 car garage. More details and features in the plans below.